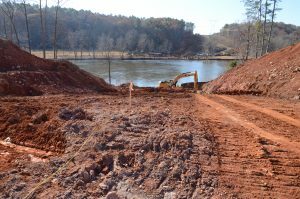 Will Trump Environmental Rollbacks Impact the Coosa? Since taking office, President Donald Trump has taken aim at a host of environmental laws aimed at protecting our rivers and the public’s health. The National Environmental Policy Act, the Clean Water Act and Obama Administration rules on the handling of toxic coal ash waste have all been targeted. At this point, most of the changes are only proposed, but the climate in Washington is creating uncertainty for Georgia’s environmental police as well as those businesses, industries and others who must comply with federal environmental laws. Here’s an overview of the Trump Administration’s proposed changes and what they mean. Changes to NEPA would infringe on the public’s ability to comment on major projects like oil and gas pipelines. Gutting the National Environmental Policy Act: Adopted in 1970, NEPA is considered one of the country’s bedrock environmental laws as it requires federal agencies to consider environmental impacts for a wide range of projects including highway construction, oil and gas pipelines and the management of public lands and waters. Included in the act are provisions that require federal agencies to examine a proposed project and consider alternatives that are less damaging. As such, NEPA promotes government transparency and insures that the public has the opportunity to become involved in these decisions. These proposals are currently being considered and citizens have the opportunity to comment on the proposed changes. Click here to submit comments. The deadline for submitting comments is Aug. 20, 2018. To learn more about this issue, visit the Southern Environmental Law Center website. 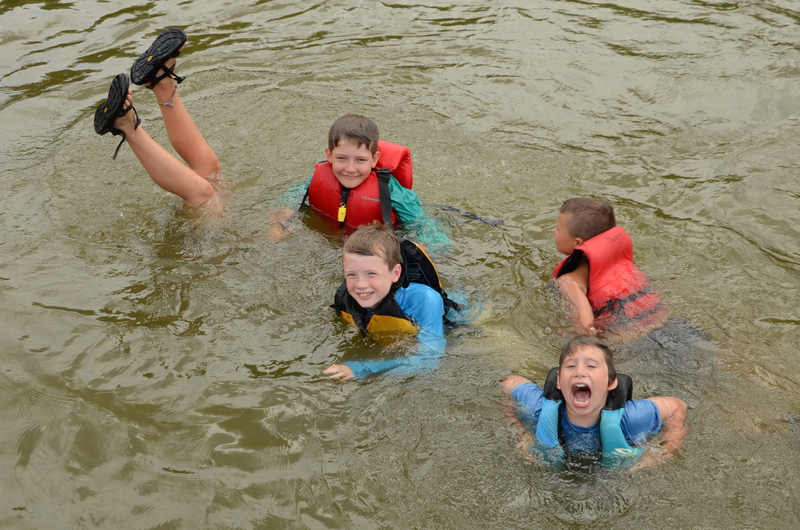 Rollbacks to the Clean Water Act threaten to negatively impact our recreational use of our rivers, streams and lakes. 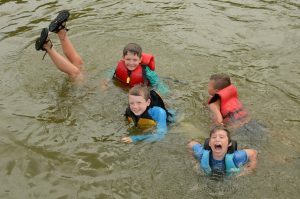 Rolling Back the Clean Water Act: Earlier this summer the U.S. Environmental Protection Agency and the U.S. Army Corps of Engineers submitted a proposal to repeal the 2015 Water of the U.S. rule and replace that rule with new standards that will determine what rivers, streams, lakes and wetlands are protected by the Clean Water Act. It is estimated that the 2015 rule would increase the number of water bodies and wetlands protected under the Clean Water Act by 2-5 percent. Based on reports, the Trump Administration proposal could result in the loss of Clean Water Act protections for as much as 50-60% of streams and more than 90% of wetlands, depending on location, according the the Southern Environmental Law Center. Citizens can voice their opposition to these changes by submitting comments. Click here to submit comments. the deadline for submitting comments is Aug. 13, 2018. Click here to learn more about this issue. Coal ash ponds at Georgia Power Company’s Plant Hammond sit adjacent to the Coosa River. 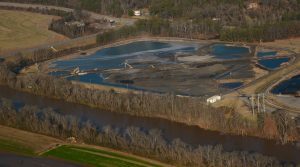 Failures of coal ash ponds in Tennessee and North Carolina led to massive contamination of rivers and prompted the Obama Administration to enact new regulations of the handling and disposal of coal ash. Coal Ash Disposal Regulations Rolled Back: After massive failures of coal ash ponds sent the toxic material into rivers in Tennessee and North Carolina, the U.S. Environmental Protection Agency under the Obama Administration implemented new rules requiring power companies and others burning coal to improve the manner in which they handle and dispose of this waste containing arsenic, mercury, lead and other toxins. Weakens drinking water protection standards for several hazardous chemicals, namely lead, cobalt, lithium, and molybdenum. Click here to learn more about this issue from the Waterkeeper Alliance.